I’ve recently finished my season of official running races – where it’s been another less-than perfect year, battling injuries (the worst of which is was self-inflicted) and niggles. the worst of these was smashing my knee whilst doing sprint races with NJ near where we live. My body just completely flipped out and threw itself to the ground where I left a skid mark from my jeans and could barely walk at all for two days never mind walk easily for the next few weeks, including two where we were on holiday! Anyway, enough with the excuses, regardless of my lack of training I still ran an extra 10K to those I might normally, completing 5 instead of the usual 4, or more often than not 3! 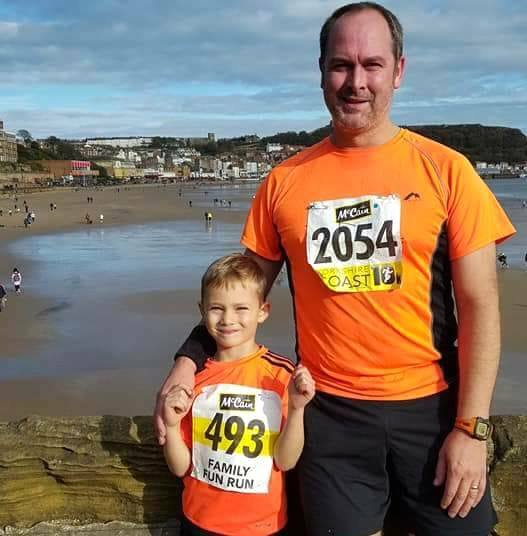 My favourite of the whole year though, was the Yorkshire Coast 10K – a 10K race out along the sea front in beautiful Scarborough and back. It’s been one of my favourite races on the calendar for a few years now and this was my 3rd entrance. 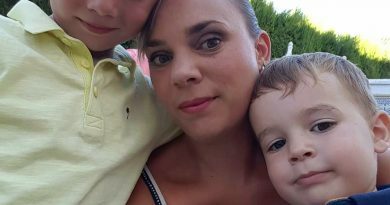 What made it extra special for me this year however was the fact that, as well as the family coming to watch, as they often do – NJ ran in the children’s 2K run. He loves to run – it’s part of his morning in the playground virtually every day, where he races against his friends, trying to see who’s the fastest on any given day. As a result of this love of running, he’s been hankering to run in an actual race for a while now, so I thought this was a perfect one for his first. I completed my 10K and then lined up with NJ ready to run with him. He was so excited to line up with his number pinned to his chest and ready to go for it. We’d been taking about how this wasn’t going to be like the sprints he does in the playground at school and that he would need to pace himself a little bit. As we got going I’m pretty sure he was holding himself back loads for me! As the race went on I could see him watching the front runners blazing back to the finish line and I’m sure he thought he could be up there with the, convinced he might catch them up on the way back! As we neared the end of the course I told him to not wait for me any longer and to finish strong – to which end he let fly and basically sprinted the home stretch. I actually had to sprint a bit to try and catch him as I was beginning to get worried about losing him in the melee of the finish line! I caught him and made sure that he collected his finishers medal, which he wore proudly! Hopefully 2018 will have plenty more opportunities for us to run together and for me to watch him grow. We’re looking at possibly going to some junior park runs so I can just let him go for it and see how he does. 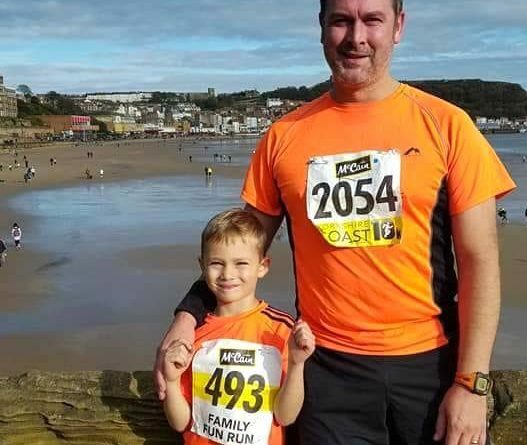 A running milestone achieved anyway – running with my son! Hope we do it loads more.